Sarah Paulson: “I play Sally. I live at the hotel. I hate Iris in a rather ancient way, for reasons that are revealed quickly. I have a kind of budding something with Wes’s character, sort of dark. 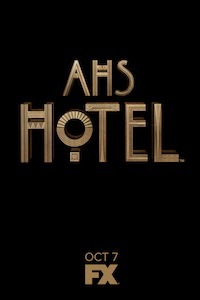 AMERICAN HORROR STORY: HOTEL premieres Wednesday October 7th at 10 PM. I was recommended this web website by my cousin. Iâ€™m not certain whether this post is written by him as nobody else know such detailed about my trouble. You are amazing! Thanks! I am still learning of your stuff, and i am attempting to attain my objectives. I completely adore reading via all that is written inside your website. Maintain the actual ideas arriving for long term ! Thanks !